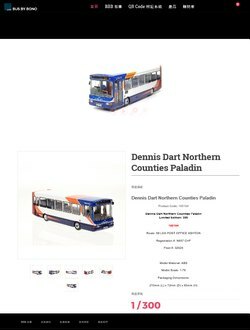 Following the successful release of Bus By Bono's first UK bus back in May 2017, the company has announced another UK Northern Counties Paladin bodied Dennis Dart model. 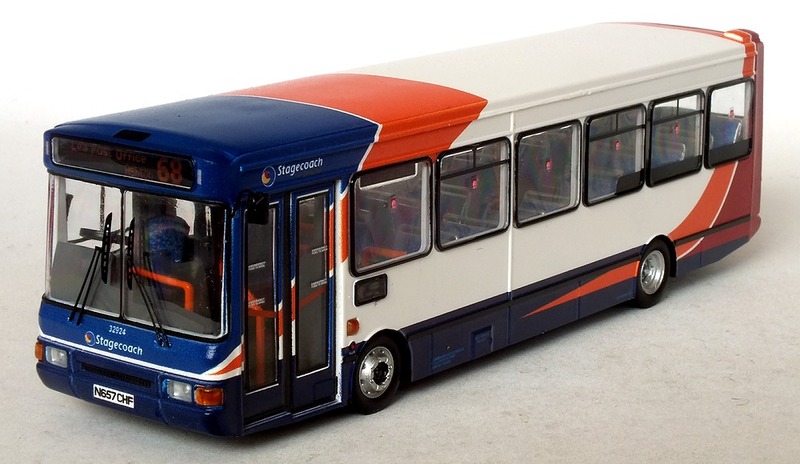 The second model (ref No. 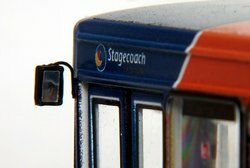 100104) will be produced in the familiar livery of major UK transport group Stagecoach. 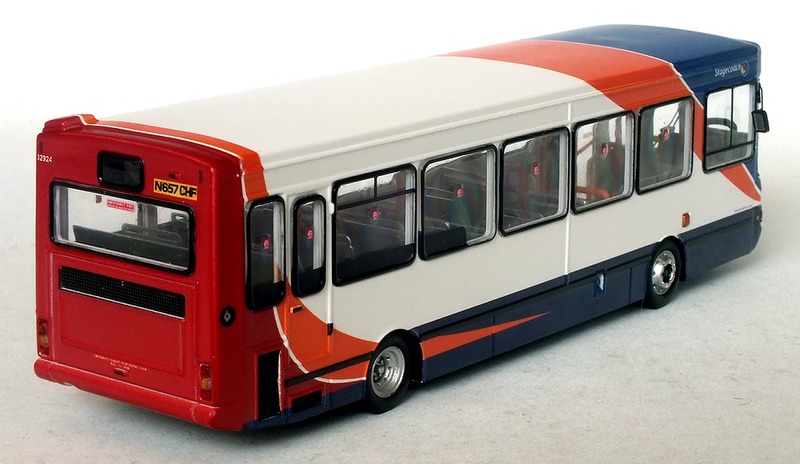 On-line pre-orders are now being accepted and only 300 models will be produced. 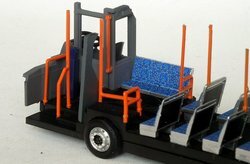 Delivery of the models is expected from the 23rd October. Further details can be found on the www.busbybono.com site & Facebook page. 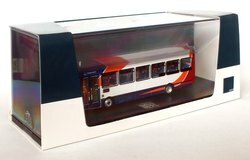 The 1/76 scale model has a retail price of HK$450.00 (around £57 including delivery to the UK based the exchange rate on the 8/9/17). The Paladin isn't a body type normally associated with the Stagecoach group who tended to prefer Darts with either Alexander or Plaxton Pointer bodies. Stagecoach did buy Paladin bodied Volvo B10M vehicles, but these had a different design of windscreen with side quarter lights. 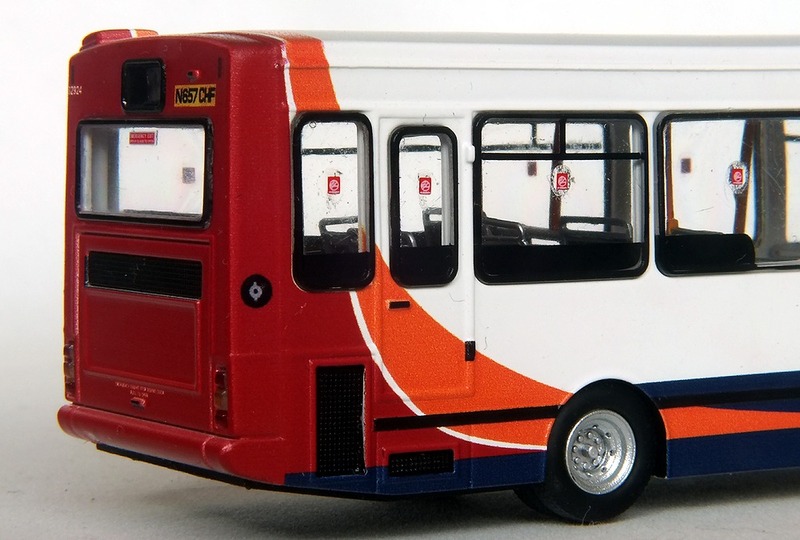 The vehicle depicted by the model, N657 CHF, was actually one of seven identical buses ordered and delivered to Merseyside independent CMT Buses in 1995. 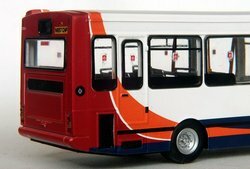 The CMT business was taken over by another Merseyside independent Glenvale Transport (GTL) in June 2003. 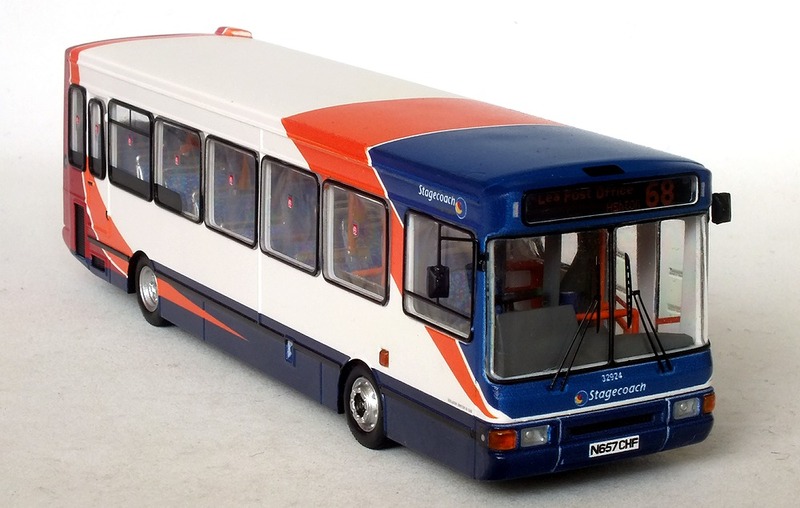 However by the Spring of 2005 GTL was facing growing financial problems and the business was sold to the Stagecoach Group in May of that year. 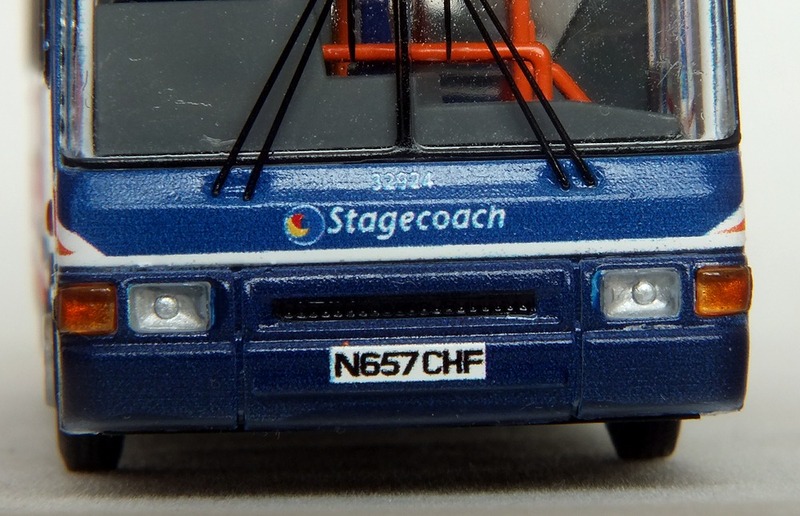 N657 CHF along with other vehicles from the same batch thus joined the Stagecoach fleet and were eventually repainted in the group's standard white, red, orange & blue livery. This particular bus was allocated fleet number 32924 and transferred away from the Merseyside area to the Cumberland Motor Services division where it gained Stagecoach in Lancaster fleet names. 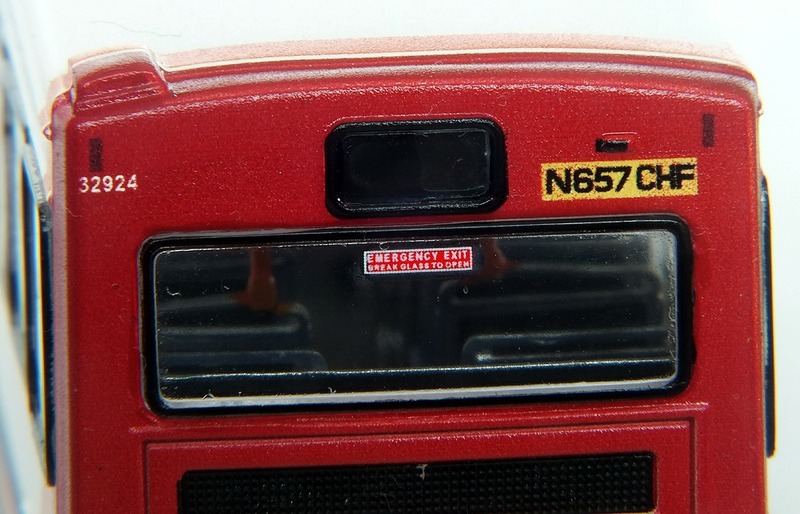 The model reviewed here is a pre-production sample supplied by Bus By Bono, it should be pointed out that this model has some minor scratches on the glazing and some glue marks on the front destination display. These issues will be corrected on the actual production versions of the model. 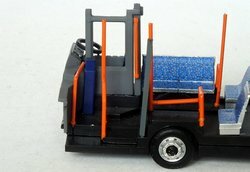 The model is made of almost entirely of ABS plastic and it is noticeably very light in weight compared to most other models of this scale. 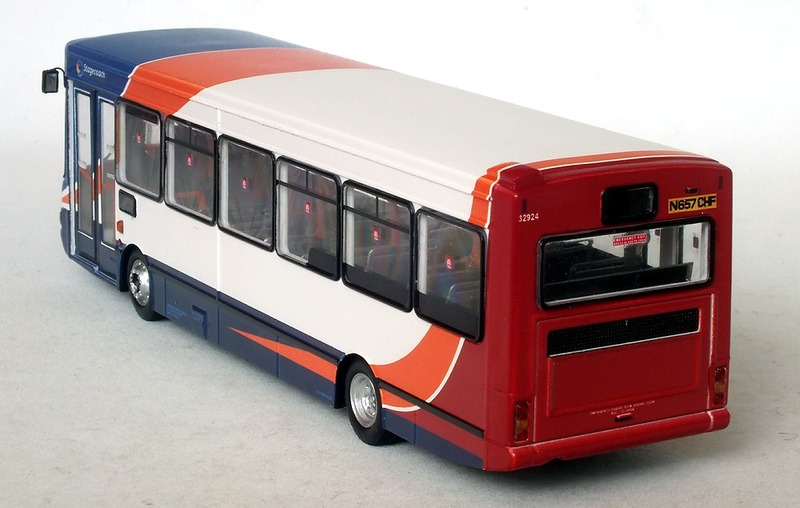 The ABS material does allow a good representation of the body shape with thin window pillars that look much closer to scale than would be possible on a diecast model. 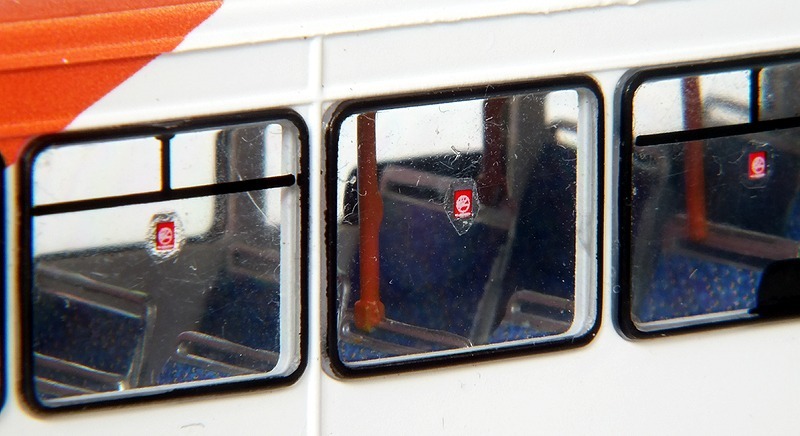 The windows are all individual glazing components that are glued very neatly into the one piece body shell. 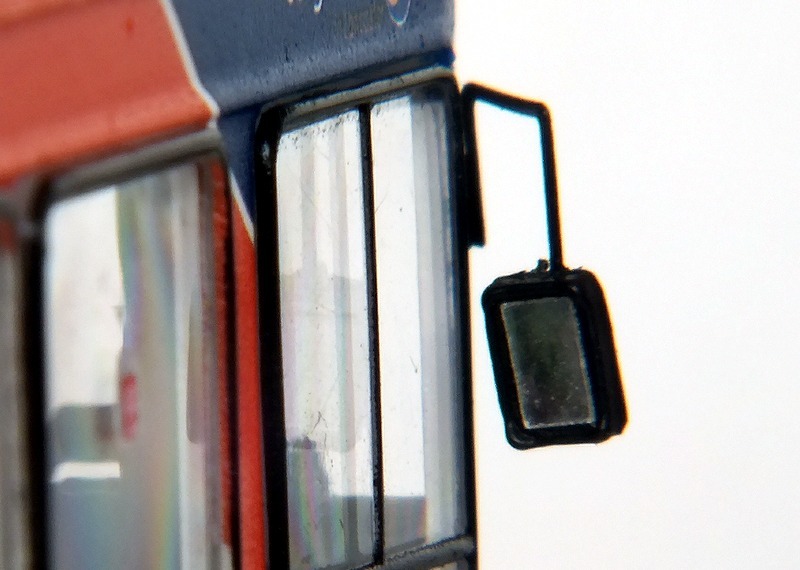 Overall the glazing is extremely good and gives a clear & undistorted view of the interior detailing. 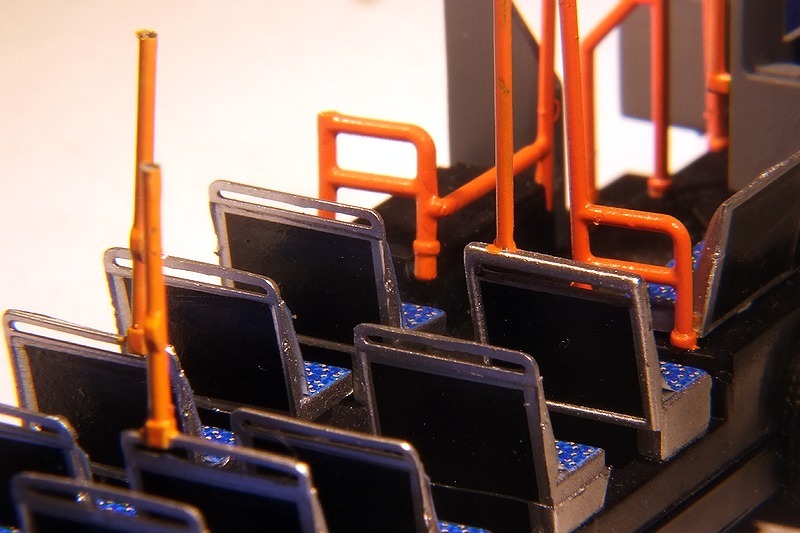 Each pane has been outlined with black paint to represent the rubber glazing gasket. 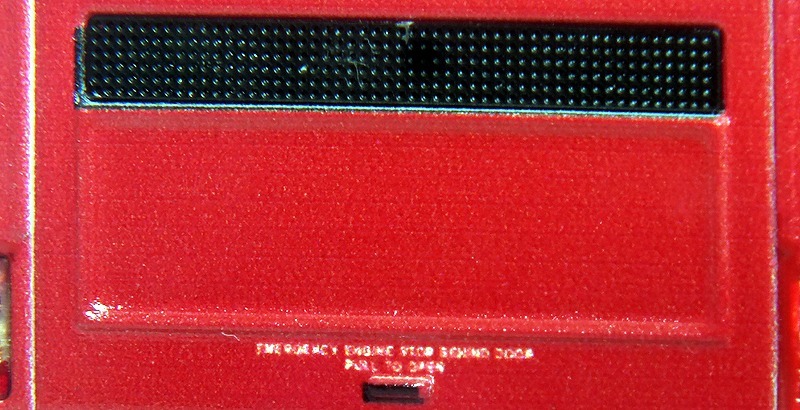 The window vents are printed directly on the outside of the glazing along with some decency panels on the rear most windows. The paint finish captures the standard Stagecoach livery which adorned much of the group's UK fleet. 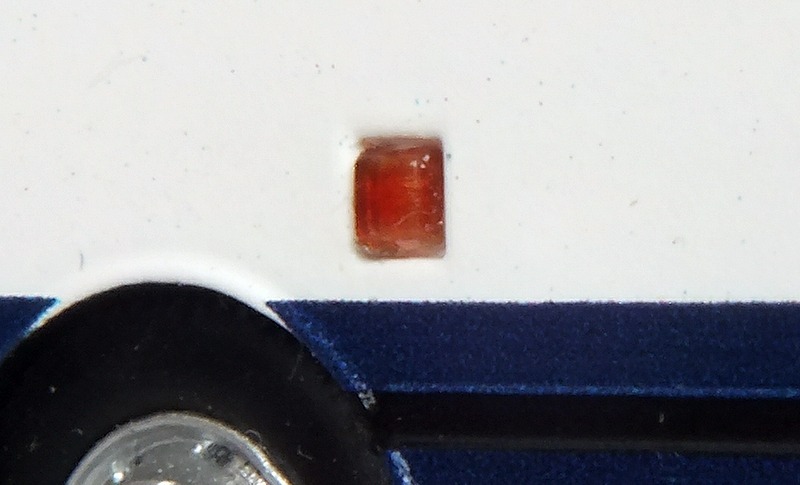 A semi-gloss finish has been used and this looks much better than the full gloss finish usually applied to models of this scale. 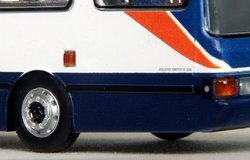 The livery application is sharp with no colour bleed on the edges of the different coloured areas. 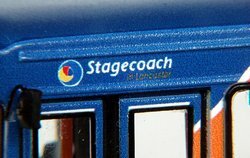 The fleet names are fairly low key on the model with a small “Stagecoach” below the windscreen & “Stagecoach in Lancaster “ on the side roof cove panels at the front of the vehicle. Other detailing includes no smoking signs on all the side passenger windows, an emergency exit sign on the rear window, legal owner address & unladen weight details on the nearside skirt panels. 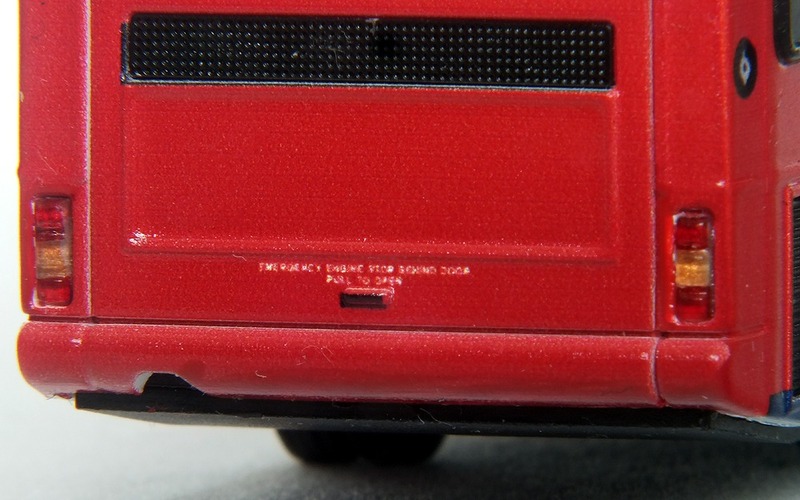 There's are also tiny isolation switch and fuel cut-off instructions below the side cab window and on the rear engine cover respectively. 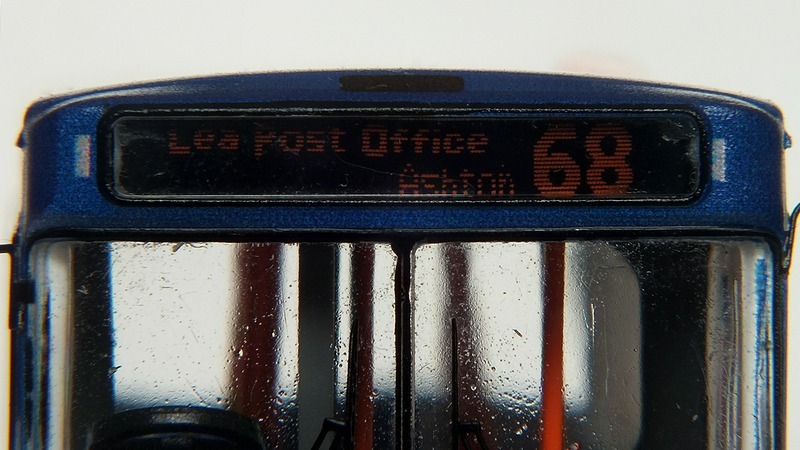 The glazed front route destination display is set for route 68 bound for Lea Post Office via Ashton. 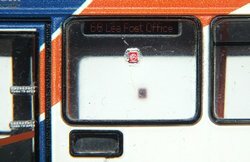 The side & rear route number displays are blanked out, although a small side destination is present in the forward most nearside window & displays 68 Lea Post Office. Both destinations give a good representation of the orange dot matrix LED displays used on the real vehicle. 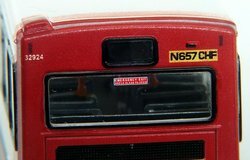 The windscreen once again features the excellently detailed etched wipers which are some of the best I've seen on any model of this scale. 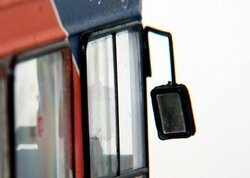 The mirrors are nicely done & look to be to the correct proportions. These are black and have a silvered finish to the rear. 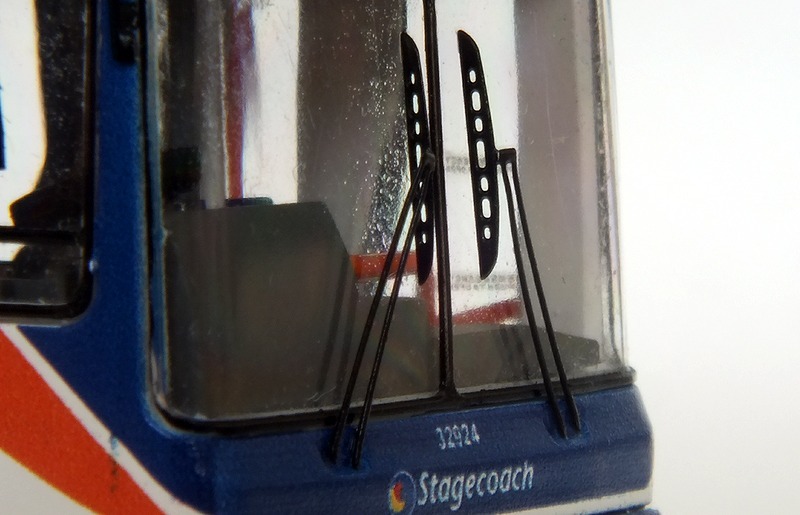 They are both mounted on thin wire supports. 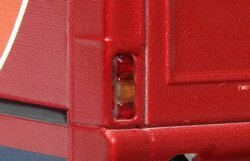 The front grille and rear engine air intake vents are produced using a mesh textured effect, all are finished in black paint. 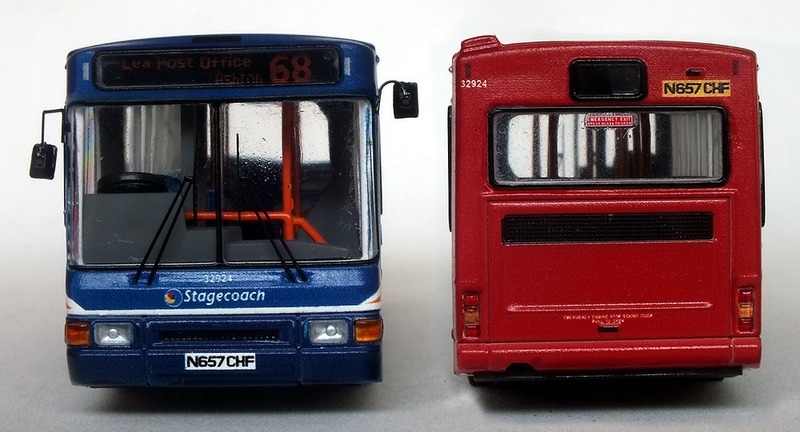 These look very realistic and to scale. 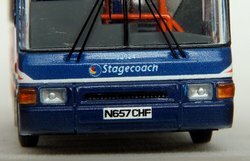 All the lights are clear plastic components, the headlights give a good impression of depth and even have detailing for the bulbs. 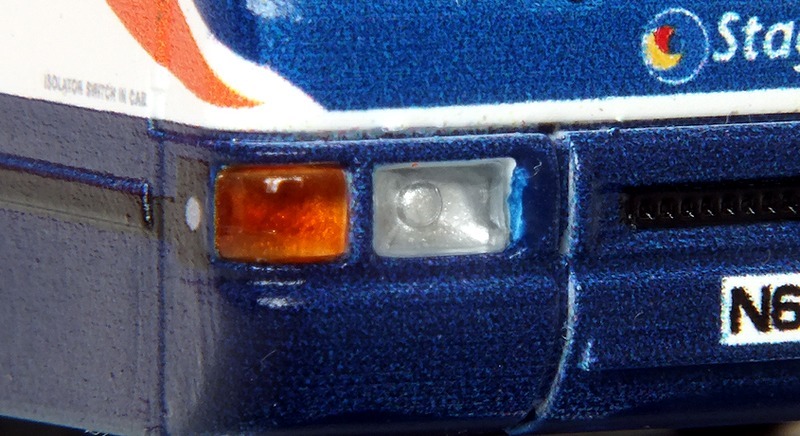 The front and side indicators are tinted orange while the rear light clusters contain red & orange lenses. The wheel rims are finished in silver paint, the front ones have additional of black central hubs. 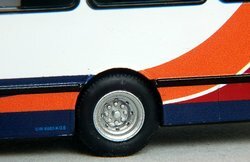 The tires are soft plastic and seem to be a tighter fit compared with the slightly loose ones on the previous First Group model. 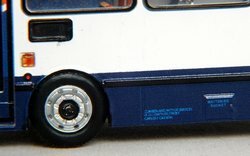 There is no detailing of the underside of the vehicle on the base, this may disappoint some, but this omission doesn't affect the models appearance to be honest. 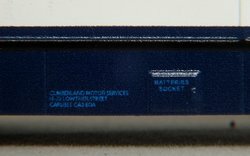 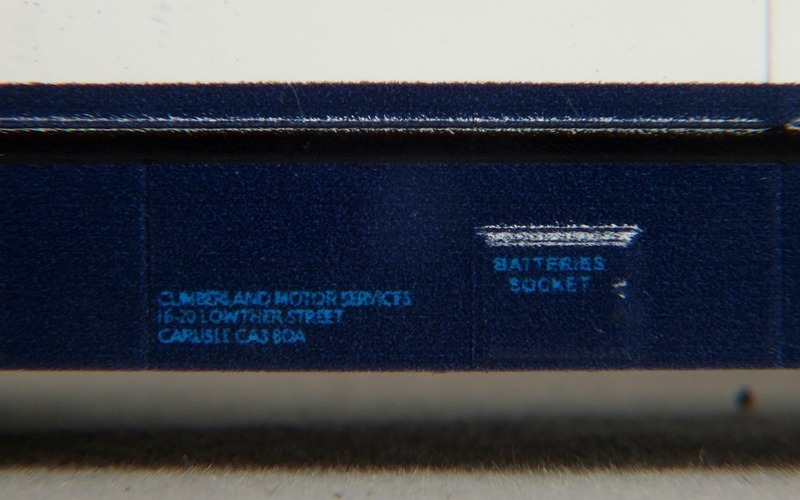 The base carries a copy of the Q-code found on the plinth which contains the model's individual issue number and replaces the card certificates issued by other manufacturers. 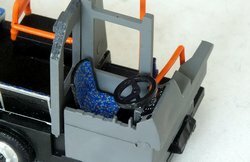 The interior detailing is also to a good level. 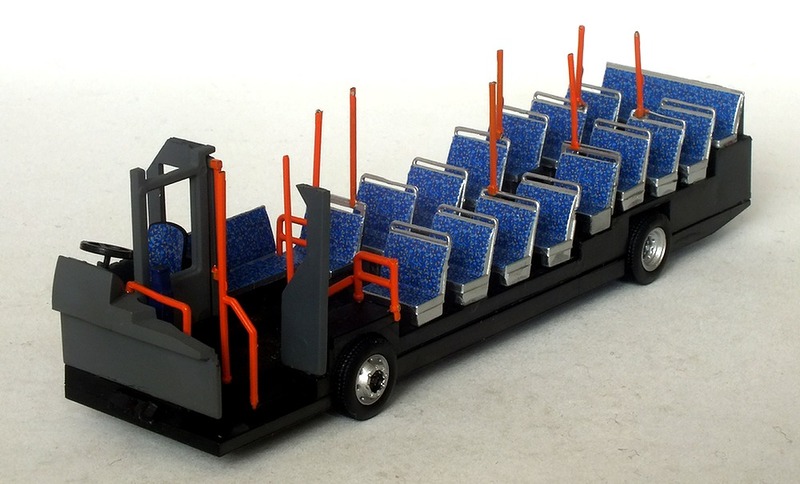 The seats are individual components which are glued to the black finished floor section. 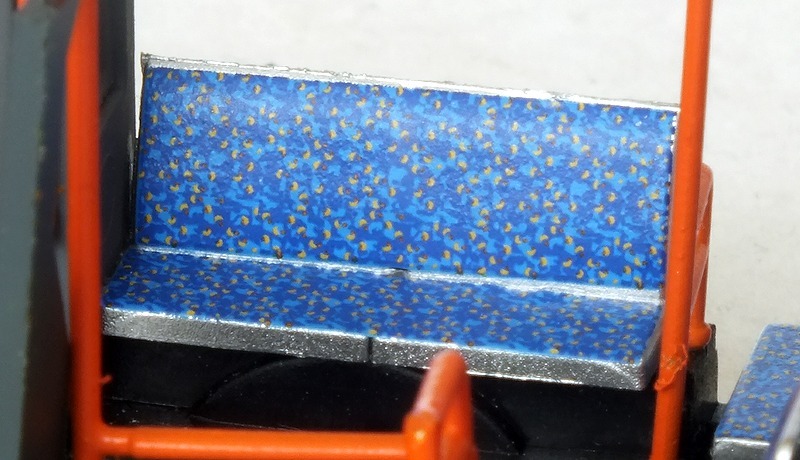 The seat cushions have an excellent reproduction of the mainly blue Stagecoach seat motif. The rear of the seats have black panels and a surrounding silver frame. 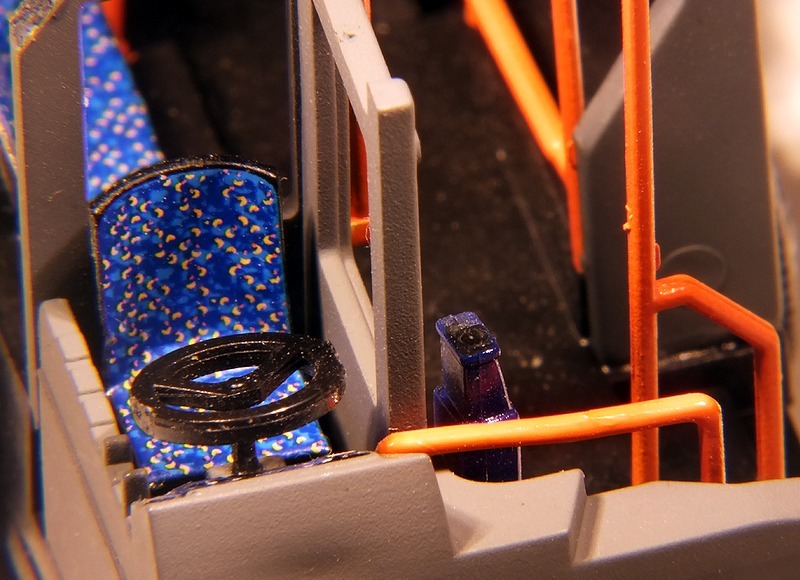 All the double forward facing seats have thin wire hand grabs on the top and some of these also have upright orange grab poles connecting them to the ceiling along the central gangway. 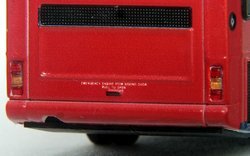 Some of these poles even include detailing for the stop request buttons. 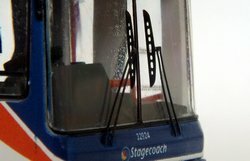 Further grab poles and rails are positioned around the entrance area. There is also a luggage storage area over the front nearside wheel arch. 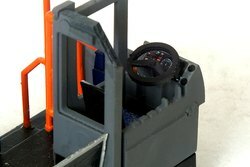 The driver cab area is partitioned off from the rest of the interior and like the front dash panel & nearside front bulkhead is finished in light grey paint. Inside the cab itself the seat cushion is finished in the same material as the passenger seats. A black steering wheel is fitted behind which is a detailed representation of the dashboard dials and switches. The model comes supplied with display case and is fixed to the black plastic plinth by two crosshead screws. The case is enclosed in a minimal card sleeve that carries the Bus by Bono branding. 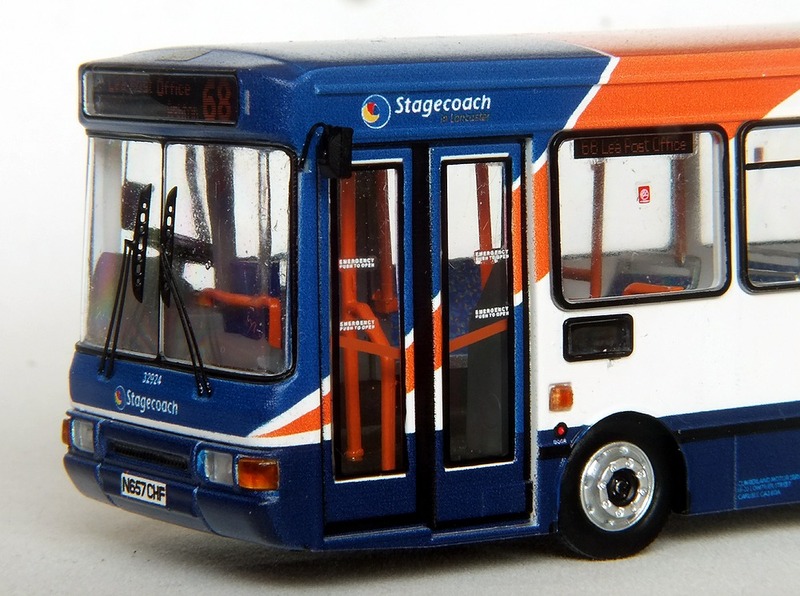 Overall this is another outstanding model from Bus By Bono that portrays a fairly unusual vehicle within the otherwise much standardised Stagecoach fleet of this period.